Repair costs vary on the basis of parts availability, time taken to repair and the general condition of the machine including wear, mechanical damage, corrosion, etc. In many cases, video heads are no longer available for Beta machines, so their condition will determine if the machine is worth repairing. I have a video head tester to determine their condition. Second-hand heads are only used for repairs as a last resort. The beta machine capstan rollers can become worn, dirty and uneven over time and with use. They are difficult to source and expensive when you do find them. This will work unless the rubber on the capstan roller has cracked or perished or the support bearings have failed." 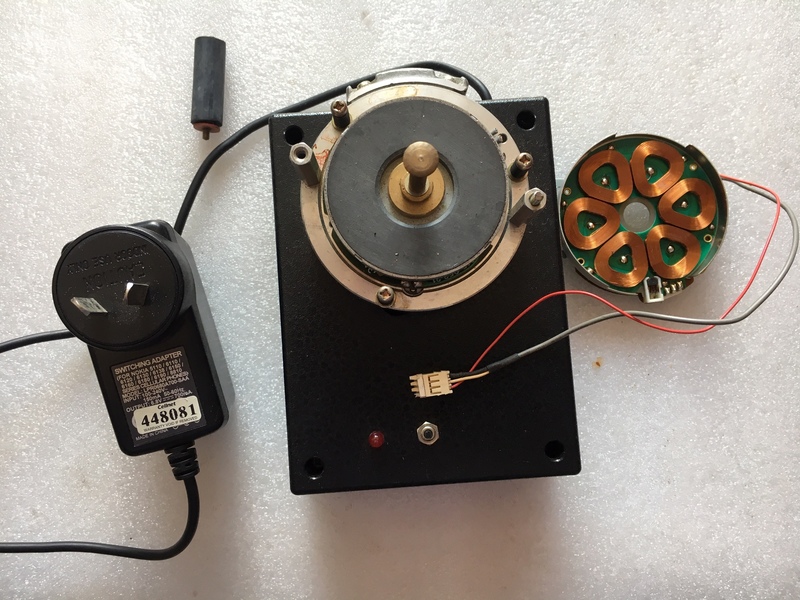 A. Sony beta head drum motor repair jig. This provides a quick mount and dismount arrangement. It provides 9V supply to the motor and will drive it when the press button switch is pushed and gives about 4.5V as a control voltage. B. Sony power supply DC/DC convertor tester. An indication of the current drawn by the unit. 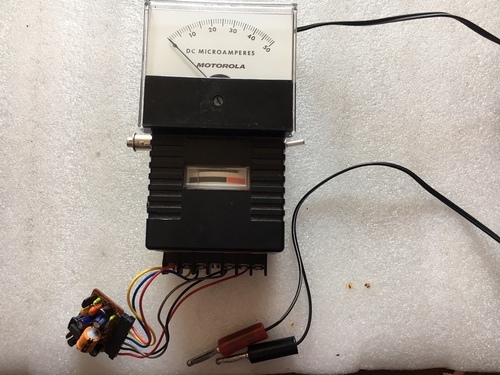 A BNC output to monitor the 3.3V AC waveform of the DC/DC used to power the gas display filament. The -38V rail (centre indication on second meter with toggle switch one way). The +28V rail (centre indication on second meter with toggle switch one way). C. Sony SLC9 load mechanism electronic control interface. This one is a little tricky and I had to develop it to diagnose whether the load mechanism, the control mechanism or both had failed. The SONY SLC9 has a microprocessor dedicated to the tape load mechanism. The gears on the mechanism can break plus there are guide alignment issues. See http://www.palsite.com/slc9tech.html half way down. 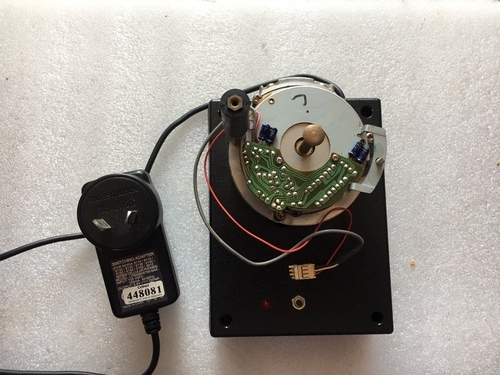 The drive circuits (transistor and diodes) can burn out when a tape jams in the mechanism for some time. Holes can even get burnt in the circuit board. 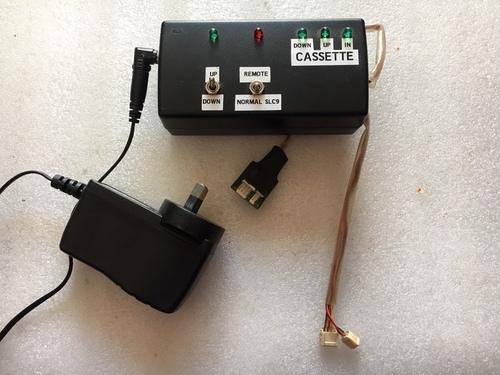 The interface control is driven by a 12V plug pack and has plugs and sockets which allow it to be placed in line with the SLC9s control to the carriage. It can then be used to either monitor the machines "normal" operation and indicate switch and motor drive actions or be used in "remote" or slave mode, to control the load mechanism from outside the machine.